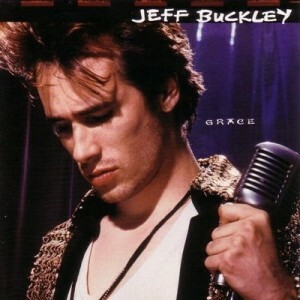 Today’s Cool Album of the Day (#281 in the Series) is Jeff Buckley, Grace. Make a list of the best debut albums of all-time and it won’t be very long before you get to Grace. 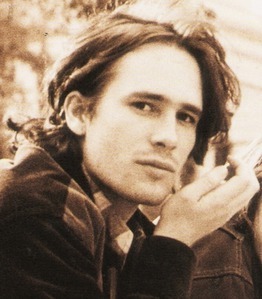 For, quite simply, Jeff Buckley and his band created a beautiful work, rich and varied in scope, tough but also tender. As a performer in his own right, Buckley first came to the attention of the public (and most A&R men) when he took up a weekly residency at Sin-E, a small basement cafe in New York. Appearances there saw him hone his craft to perfection, crafting a rare beauty from his soaring vocal range, dazzling guitar skills and myriad influences, most notably Led Zeppelin, Nina Simone and Nusrat Fateh Ali Khan. Indeed his very first release (Live At Sin-E) was a 4 track EP which really captures the sheer magic being conjured up at these intimate evenings. That EP is now available in a Deluxe version, expanded to a massive 34 tracks! It’s well worth seeking out. The debut album followed shortly thereafter and it doesn’t disappoint. Jeff’s original songs more than cut the mustard.” Mojo Pin “comes drifting in slowly, an abstract but effective beginning, not kicking in fully until its final 60 seconds. It sets things up nicely. “Last Goodbye” has a groove to it, and a swooping Zeppelin-esque guitar riff to die for. “I hate to see the love between us die, but it’s over “, a gorgeous farewell with a lovely string motif for good measure. “Lover, You Should’ve Come Over” is a slow burner, an aching lament, wrapped in misery. There are also 3 cover versions here, for many the real heart of the album. “Lilac Wine”, a song he was familiar with through his admiration for Nina Simone is given a definitive reading and “Corpus Christi Carol”, although slightly overblown, can take your breath away in places. And so we arrive, as we inevitably must, at “Hallelujah”. One of the very best songs by one of the very best songwriters, Leonard Cohen’s own version is, of course, wonderful in its own right. John Cale (ex- Velvet Underground) put a slight twist on it , recording a lovely live version in 1992 and it’s the latter’s take on it that provides the template for Buckley’s interpretation. Keeping the arrangement sparse he leaves plenty of room for that remarkable voice of his to become the main instrument and with good reason, he soars. Without doubt it’s one of the greatest cover versions ever recorded, a magnificent tour de force. “Dream Brother”, possibly the best original song here, is saved until last, a gentle, dreamy meditation on loss, it provides a haunting finale. Grace peaked at #149 on the Billboard Top 200 Album chart. All tracks written by Jeff Buckley, unless otherwise noted.